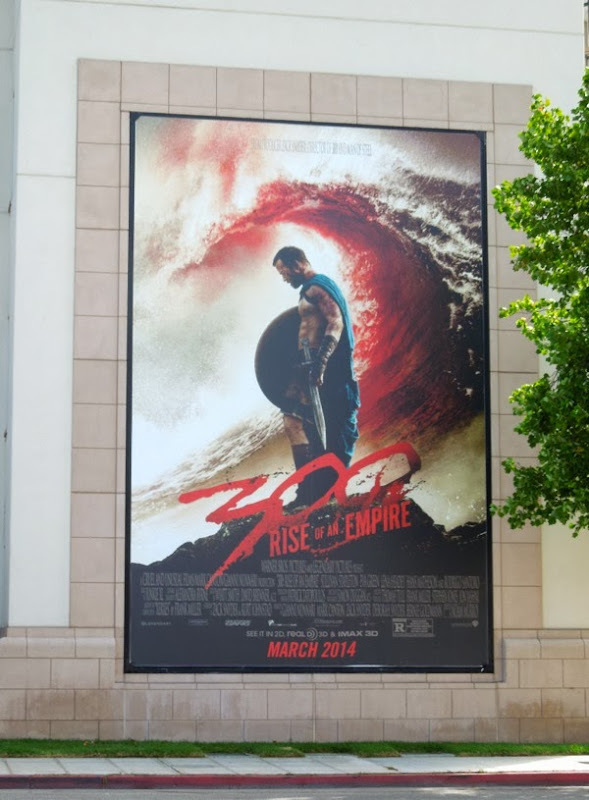 300: Rise of an Empire may be a mouthful of a sequel name, but it's surely a better film title than 300 2. 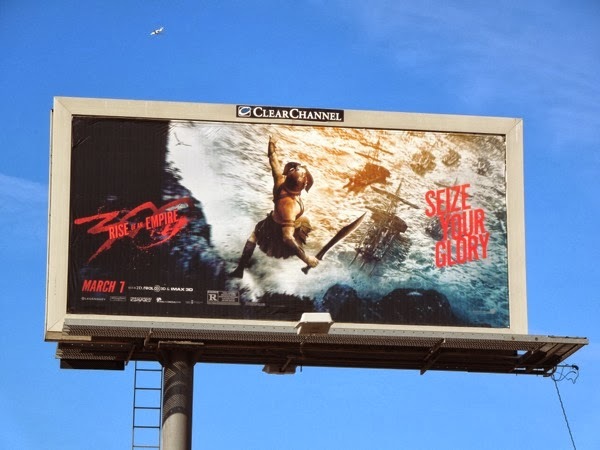 In fact not only is this a sequel to Zack Snyder's 2006 stylish adaptation of the 1998 comic book series by Frank Miller and Lynn Varley, but it's also a prequel, runs concurrently and follows events of the fierce struggle of 'King Leonidas' and his 300 Spartans against the 'god-King Xerxes' and his 300,000 Persian soldiers at the Battle of Thermopylae. 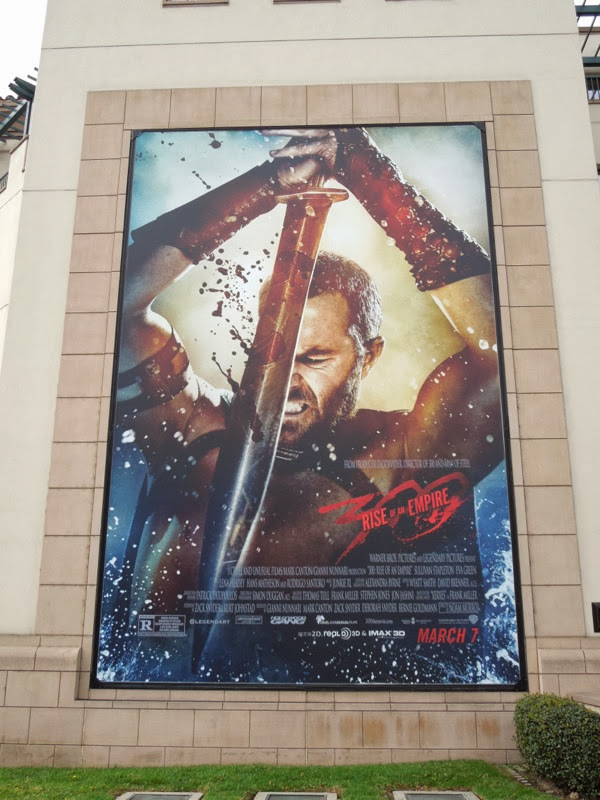 In 300, Gerard Butler and his warriors convinced cinema goers that real men had six-packs (even if they were painted on) and wore leather loincloths and capes (and not much else), plus that not every comic book adaptation had to be a superhero movie. 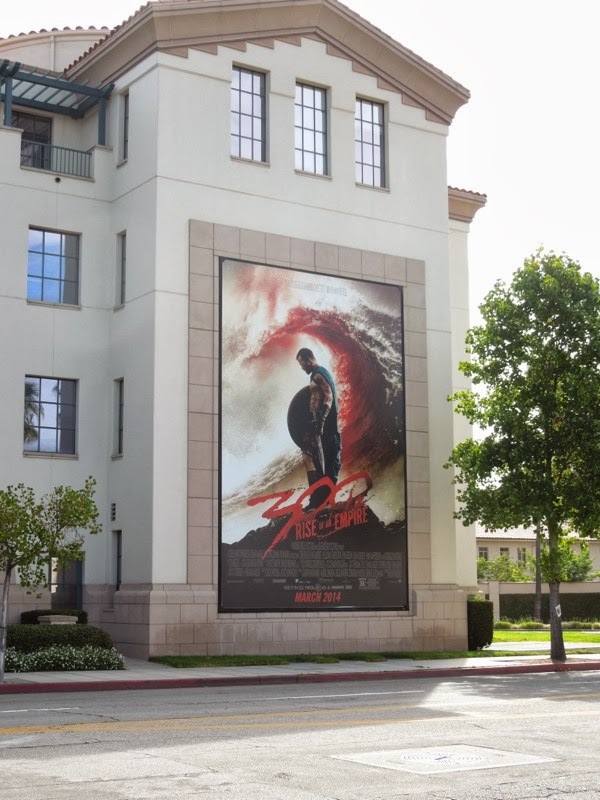 Only time will tell whether 300: Rise of an Empire will repeat the box office success of the first film, but Warner Bros. Studios certainly hope so and are spending big on their out-of-home advertising to spread the word about the action-fantasy sequel. 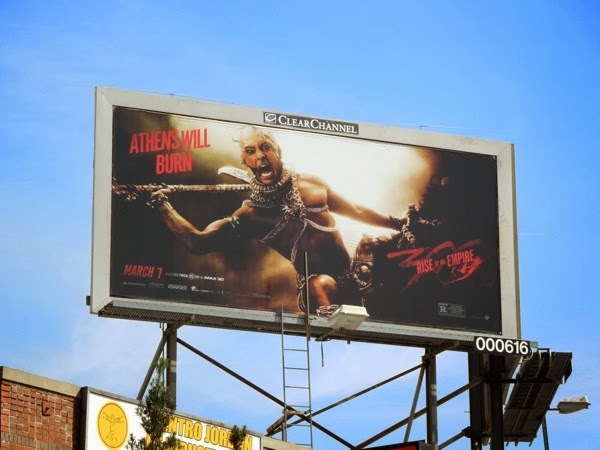 However, where the first movie had a clear premise of these 300 Spartans battling to their bloody deaths, this follow-up almost eight years later seems to have a much more complicated plot. 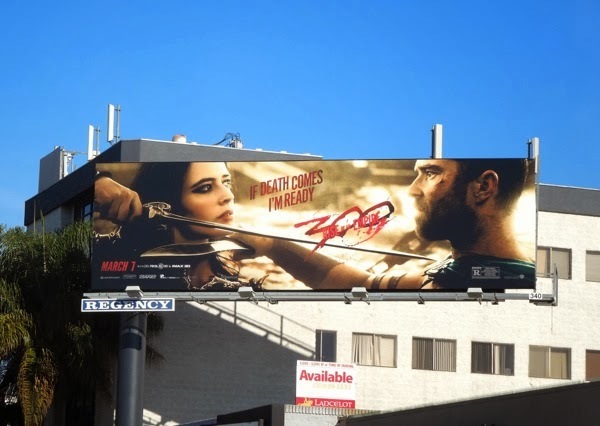 However, at least it also seems to balance the scales with fierce women warriors this time around, like Eva Green's 'Queen Artemisia' giving Sullivan Stapleton's 'Themistocles' a run for his money, on the battlefield and in the bedroom by all accounts. 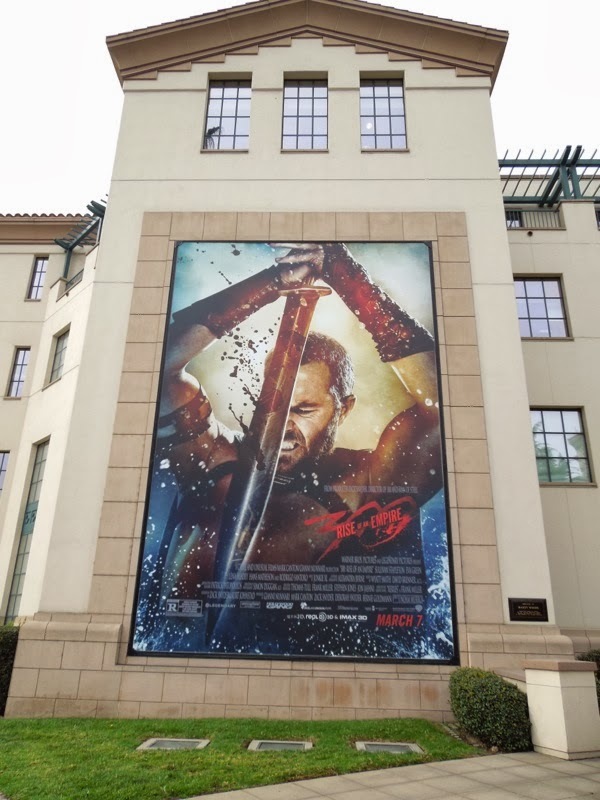 The tidal wave of blood teaser creative for the movie was spotted at Warner Bros. Studios in Burbank, California on August 31, 2013, whilst the creative featuring Sullivan Stapleton showing off his brutal Greek sword skills was snapped on January 24, 2014. 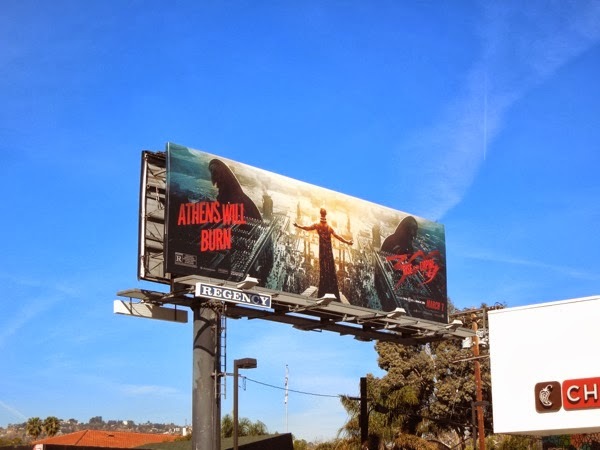 The 'If death comes I'm ready', 'Athens will burn' and 'Seize your glory' billboards were photographed along Santa Monica Boulevard, the Sunset Strip and Melrose Avenue from February 14 to February 17, 2014. 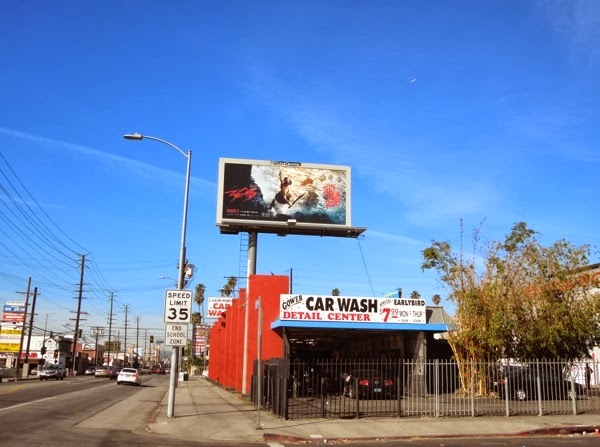 Let battle commence and empires rise and fall. 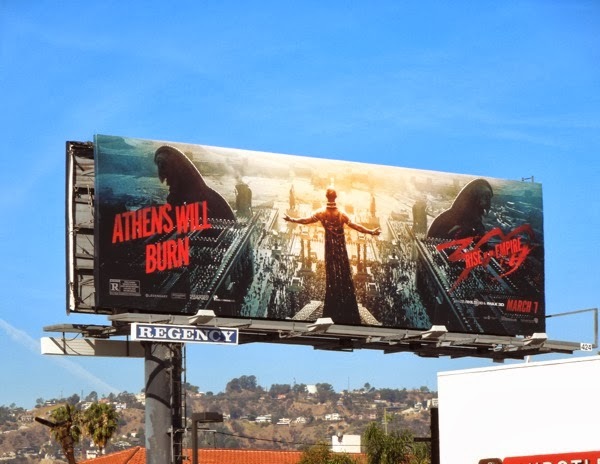 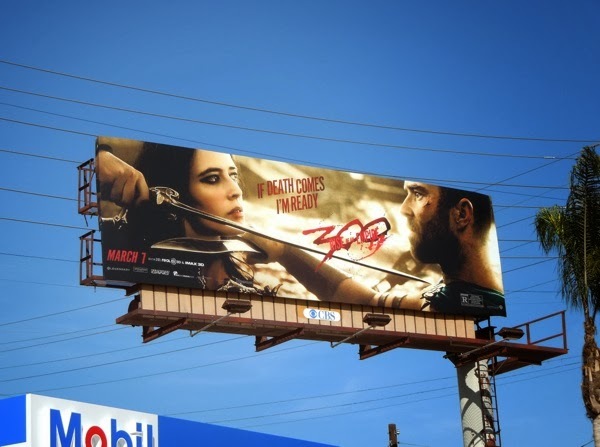 UPDATED: Here's another 'Athens will burn' ad creative for 300: Rise of an Empire featuring the menacing 'god-King Xerxes', spied along Hollywood Boulevard on March 5, 2014.